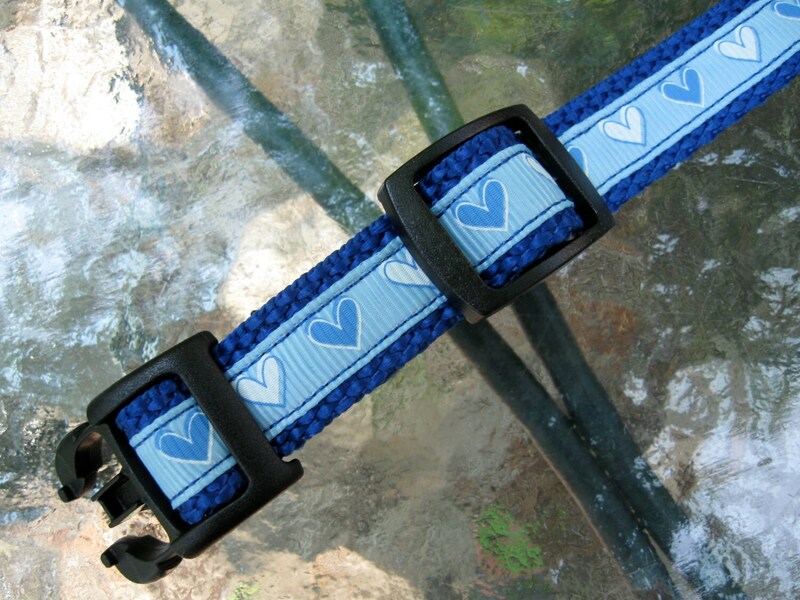 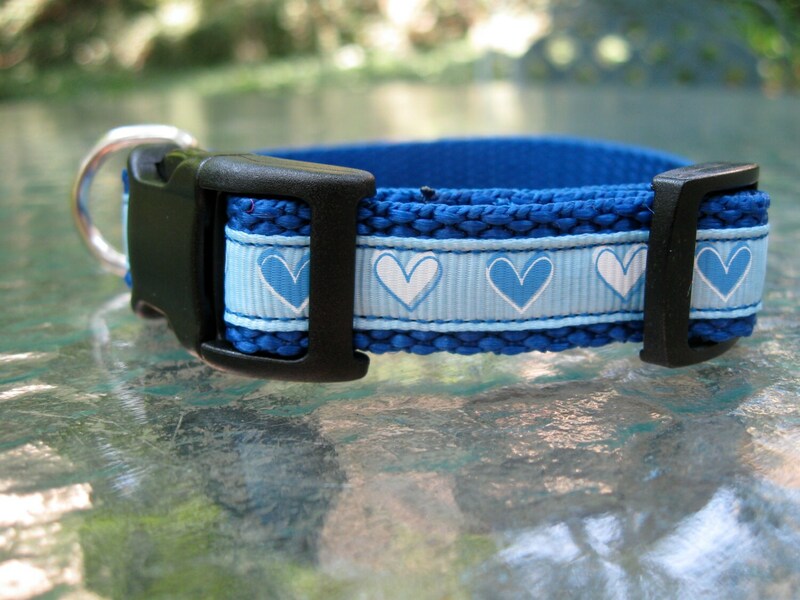 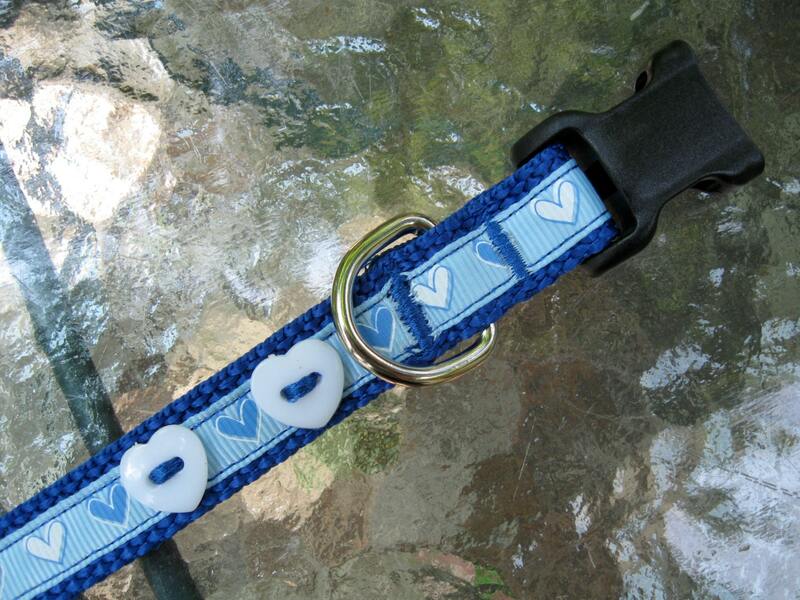 Blue and white heart printed ribbon has been sewn onto strong blue nylon webbing for this extra small adjustable dog collar. 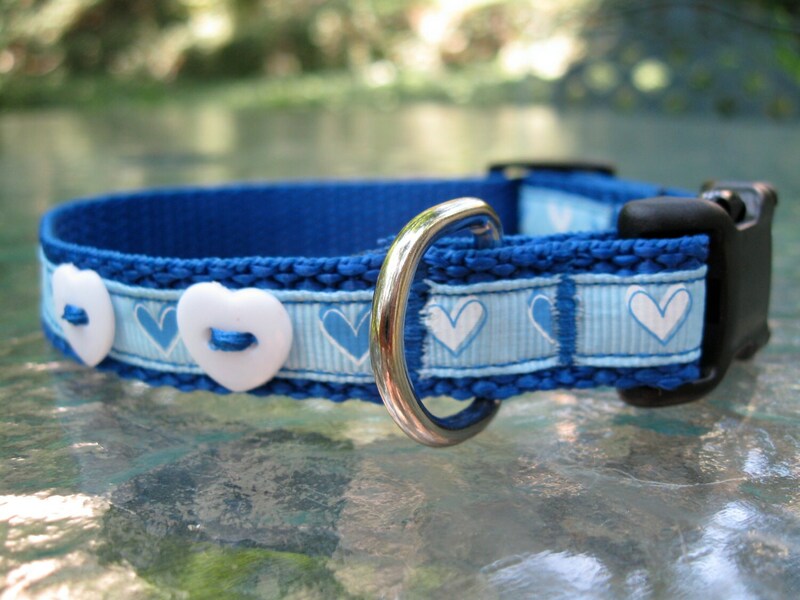 Pretty white heart buttons added for a little pizzaz! 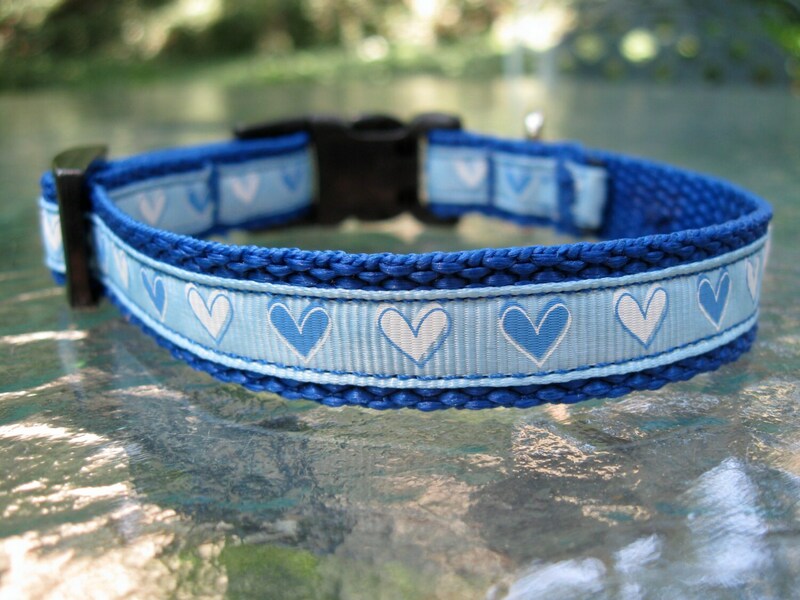 Your dog isn't boring why have a boring dog?